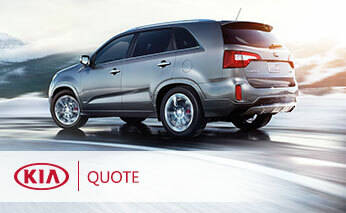 Looking for a quote on a great new Kia vehicle? Then you will be happy to know that Big Red Sports has you covered. Regardless of what type of automobile piques your fancy, we have no doubts that what you are looking for is currently waiting for you at our dealership. The best part? Requesting a quote from Big Red Sports not only ensures that you get the best price possible on your dream vehicle, it is also a quick and simple process that will never bog you down in hours of unnecessary paperwork or seemingly endless phone calls with pushy salespeople that are looking to do nothing more than force you into a rushed or hurried purchase. If this sounds like the kind of experience you are looking for as you start the hunt for the right new Kia vehicle for you, then take a moment to join us as we offer up a little extra insight into how we create quotes. From here, you will have all the information you need to submit a quote request and get started on the path toward the perfect car, truck, or sport utility vehicle (SUV) for your daily routine. What Goes Into a New Car Quote from Big Red Sports? A Hassle-Free and Straightforward Experience – While other dealers might use a new car quote request to run you through a string of slimy sales pitches and other aggressive tactics aimed at pushing toward a quick purchase, we instead emphasize a hassle-free approach that comes with no obligations and strings attached on your end of the process. Customized to Your Unique Needs – Each customer has unique constraints that affect both their budget and their shopping experience, so the team here at Big Red Sports gathers as much information as possible when developing a personalized quote to ensure that this offer conforms precisely to your specific needs and considerations. Access to Certified Kia Experts – Only seasoned Kia financial experts that have years of experience and training are allowed to handle the actual process of crafting a personalized new car quote for you. Privacy That Is Never Compromised – After filling out the new car quote form found below, you can take confidence in the fact that your personal information is handled with the care, concern, and privacy needed to ensure that this sensitive data is never put into a compromising position. After covering all of this information, one thing should be abundantly clear: Big Red Sports is willing to do what it takes to guarantee that it always has the most reliable, cost-effective, and consumer-friendly new car quote policy in the automotive marketplace. Outside of offering up the most agreeable and customer-centric new car quote system in Norman, the team here at Big Red Sports also refuses to be undersold. While it is far from likely given how much time and effort we put into crafting the fairest price points in town, there are some times when such an unusual occurrence might pop up. Should you find yourself in this situation and encounter a competing dealership that offers a better deal on the vehicle that piques your interest, do not hesitate to let us know immediately so that we can get to work on making things right. Once you have brought this issue to our attention, the team of trusted automotive professionals located here at Big Red Sports will do everything in their power to not just meet this price, but offer up a proposed vehicle price that brings even more value to you. The best part about our pledge? This ironclad commitment to your satisfaction applies to any and all vehicles found within our inventory, so you can shop with confidence knowing that the best possible deal for you will always be found at Big Red Sports. Naturally, going above and beyond in this manner is far from the status quo in regard to how other dealerships conduct themselves. However, when it comes to your satisfaction and providing potential shoppers with the best deal possible, nothing but the best is good enough for people who bring their business through our front doors. How Do I Get My Personalized Quote on a New Kia Vehicle? Now that you are up to speed with everything that goes into the new car quote process here at Big Red Sports, there is really only one thing left to tackle: How to get started on the path that leads toward a completely customized quote that works around your unique buying needs. To get the ball rolling on this front, simply take a few minutes out of your day to fill out the form shown below. Once we receive your information, one of our dedicated professionals will get to work on crafting the best possible offer and returning this deal to you as soon as possible. As always, we thank you for stopping by the Big Red Sports site! If you have any other questions, feel free to connect with our trained staff via (405) 364-8106 or stop by in person to learn a little more about why more and more people in the Norman area are driving right pass the competition and coming to us for their new car buying needs.